Your reception is likely to be the first thing that your clients see, so it needs to be a space that shows off your sophistication and welcomes everyone in. 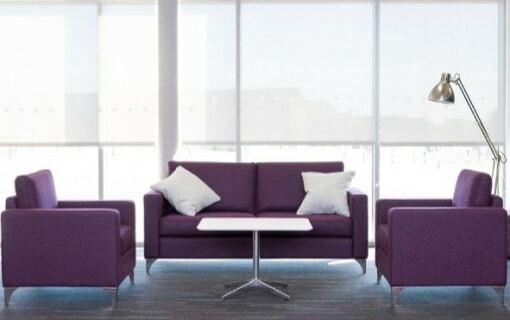 Creating an area that is comfortable for clients to sit in is a great way to introduce them to your office. Your reception area also needs to work for your reception staff too, though, so you should ensure that the desk is a suitable workspace and not just for show. 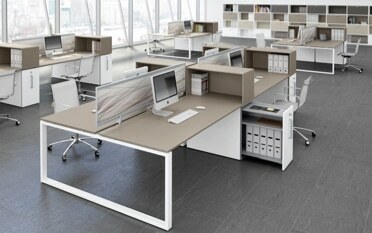 With the right set of furniture, you can easily make a space that defines your office from the outset. Almost any message is possible from chic and fashionable to professional and creative. Plus, if you have an open plan space, you can continue with the theme and look at adding matching chairs and desks for your full staff. We offer a personalised service, ensuring that every detail of your reception area is perfect and speaks to your brand. 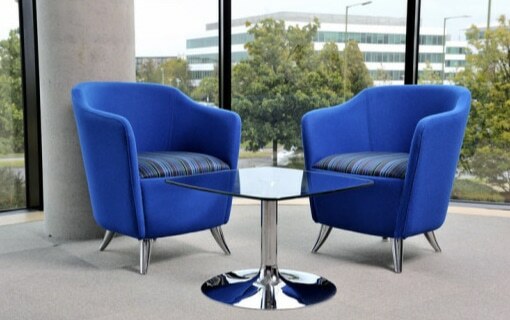 Many of the pieces of reception furniture we offer can be customised with different fabrics, colours and materials. To help you choose, we will assign a single point of contact to take you all the way through the process from design to fit. The reception desk isn’t just a piece of furniture; it is where your clients will be greeted by the first point of contact at your company. There are a variety of different styles to choose from and picking the right desk is essential for giving a good first impression. 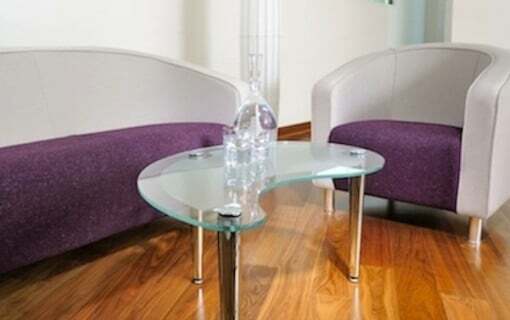 Glass is a popular surface material for reception desks as it is light and easy to clean. For a more traditional look, you might prefer to focus your attention on wood finishes but if you are willing to go for something more modern, we can offer desks with a colourful acrylic finish that looks fantastic. 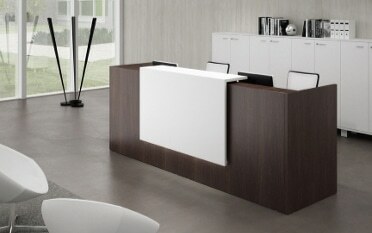 Bring some Italian style to your reception area with an Italian made reception desk. What you choose depends on the type of area you have and how you wish to fill it. 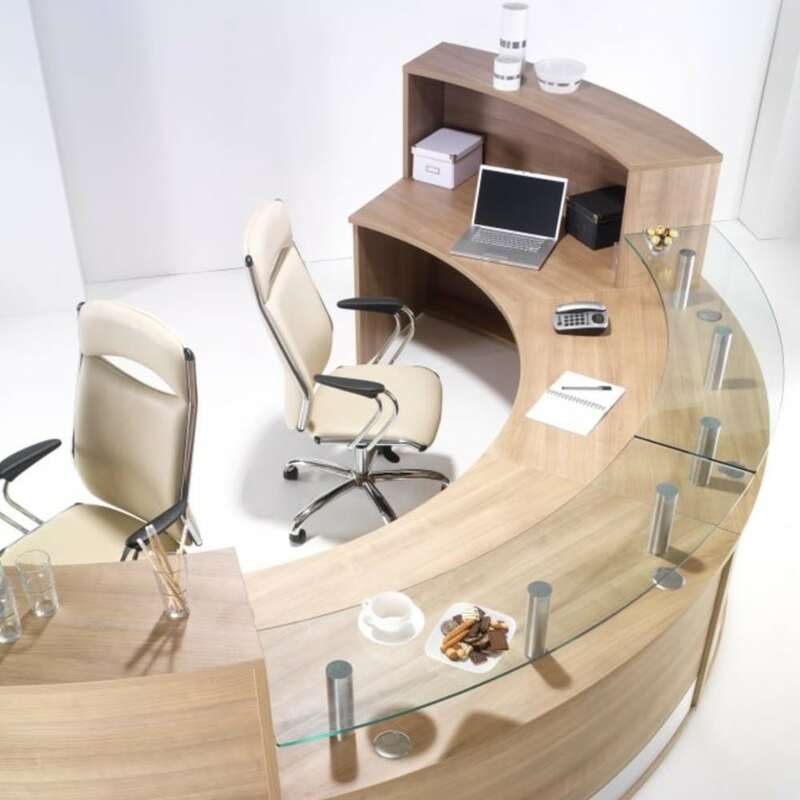 There are a variety of different desks available from luxurious round modular reception desks that can be customised to your particular tastes to straightforward desks suitable for a smaller budget. Whatever you choose, you can guarantee that your space will be positively transformed. 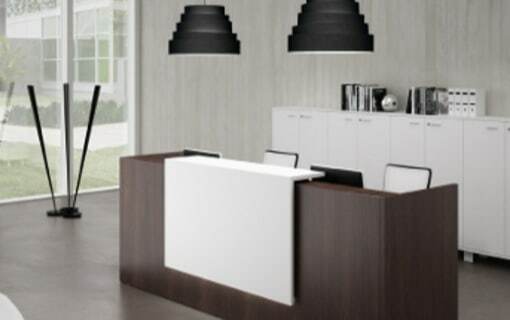 A reception counter is a great way to give a good professional first impression. 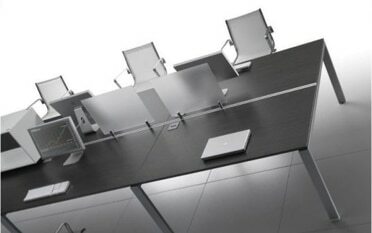 It will make your space look tidier and give your receptionist a great desk to work at in peace. Reception counters are ideal for large reception areas, especially if you are catering for a large company or building. You can go for sleek, wave designs or keep things simple with something more functional. 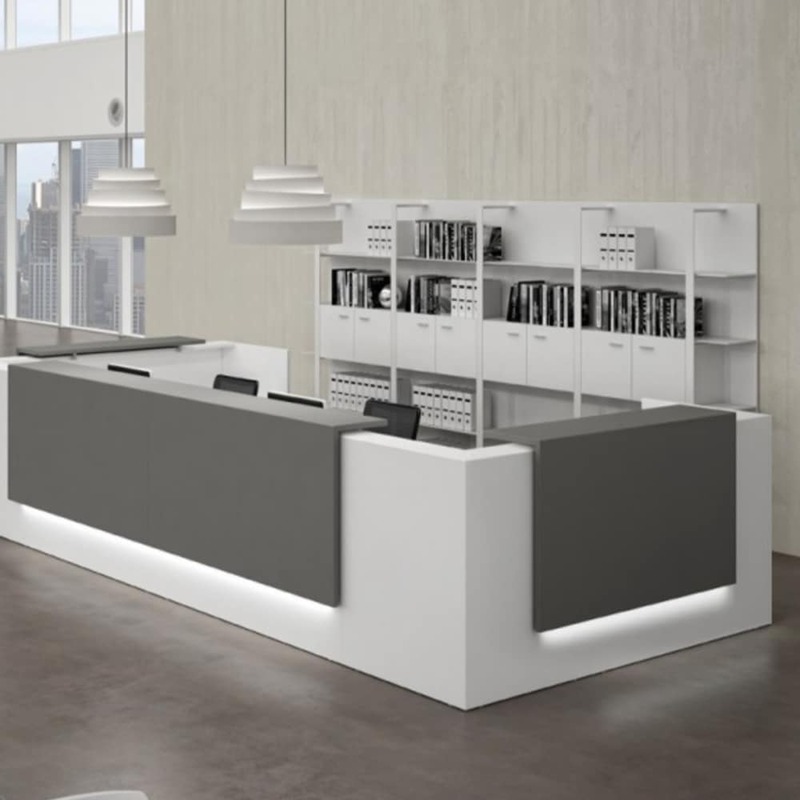 Modular reception counters are a good idea if you have an unusual space to fill or would like something designed especially for your company that you can guarantee no-one else has. 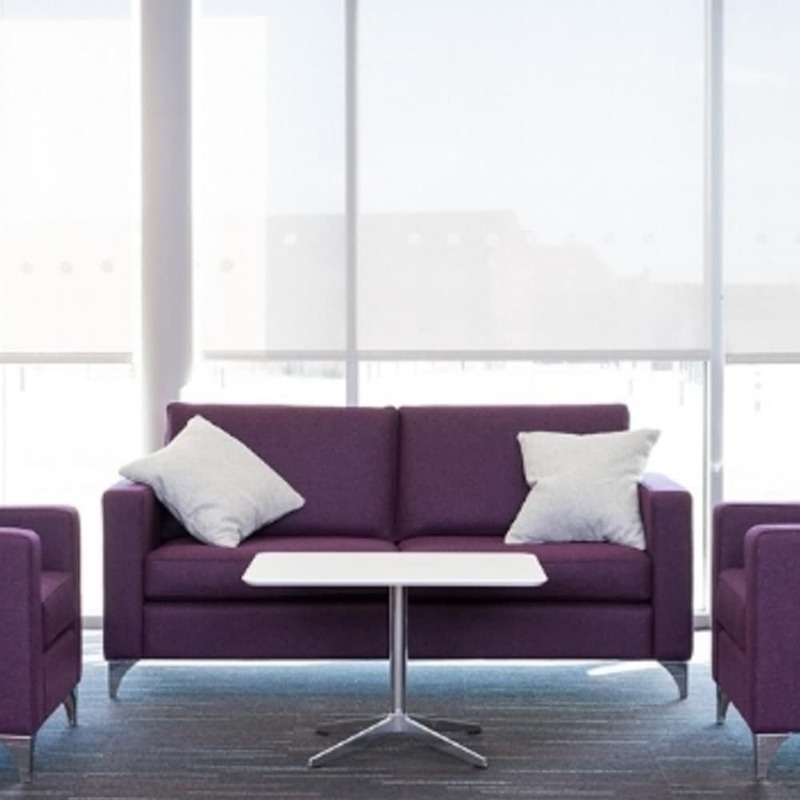 Modular reception furniture is a nice way to coordinate your look with a range of seating options such as sofas, chairs and stools. You can mix and match your furniture to suit your style and budget or go for similar items from the same range. Comfort is just as important as style and you must make sure that your clients and other visitors will be happy to sit here while they wait. 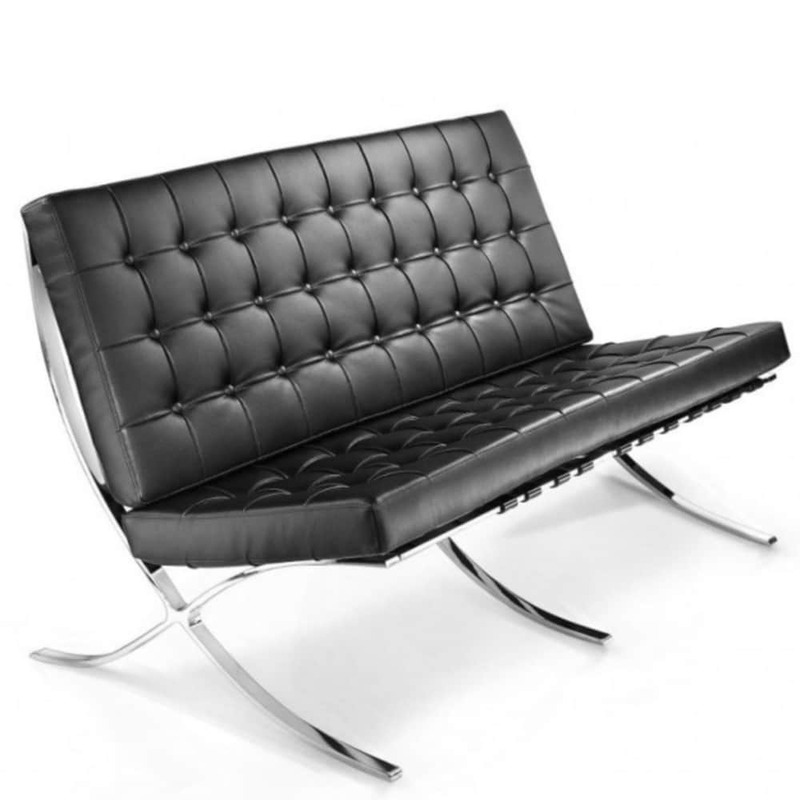 Giving your clients somewhere comfortable to sit while they wait is creates an excellent first impression. 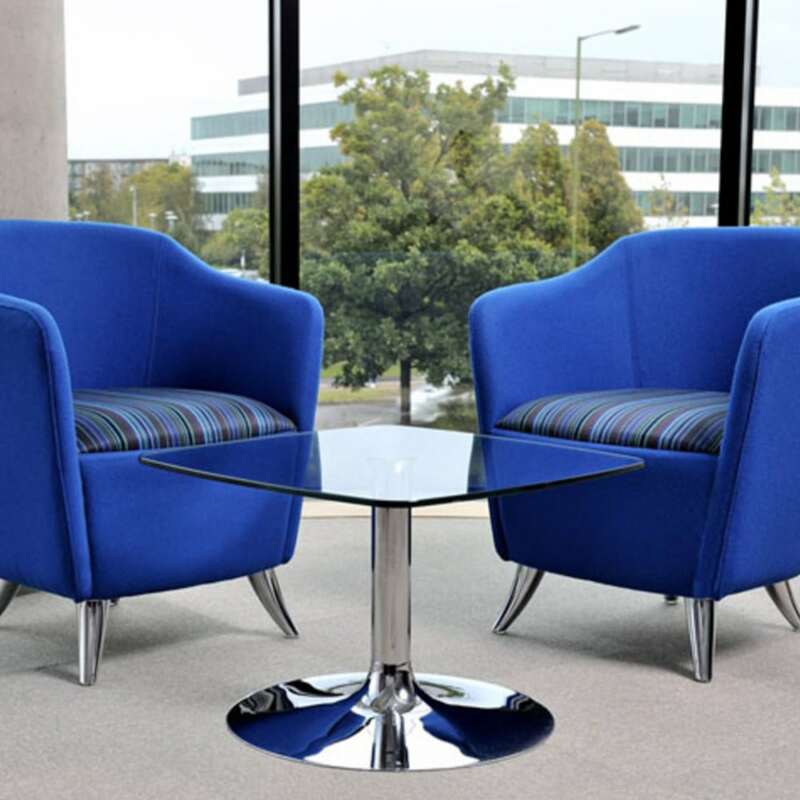 There are a wide variety of styles, colours and fabrics available to customise your reception chairs. 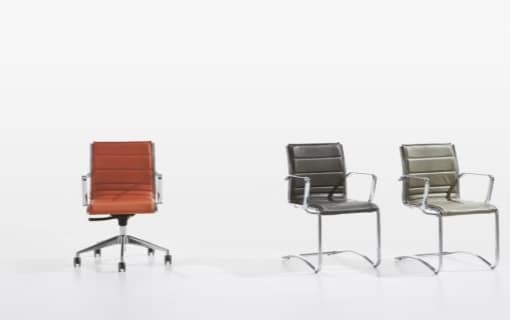 We offer a personalised service and can advise you on the best chairs for your business. It is important that your look is well suited to your brand so matching the right set is vital. Sofas are a more relaxed way to arrange your waiting area and you can choose from classic shapes or go for a more modern modular style. Modular sofas are a great way to build a unique space and you can use different segments to create different designs. Experiment with a few different tones of the same colour or mix and match for a more creative vibe. You will also need a comfortable chair for your receptionist to sit on. We offer a range of ergonomic chairs that can be colour-matched to the rest of your reception area. Ergonomic chairs are perfect for office workers who spend a lot of time at their desks as they can be adjusted to ensure the correct posture, relieving tension and complying with Health and Safety seating at work directives. 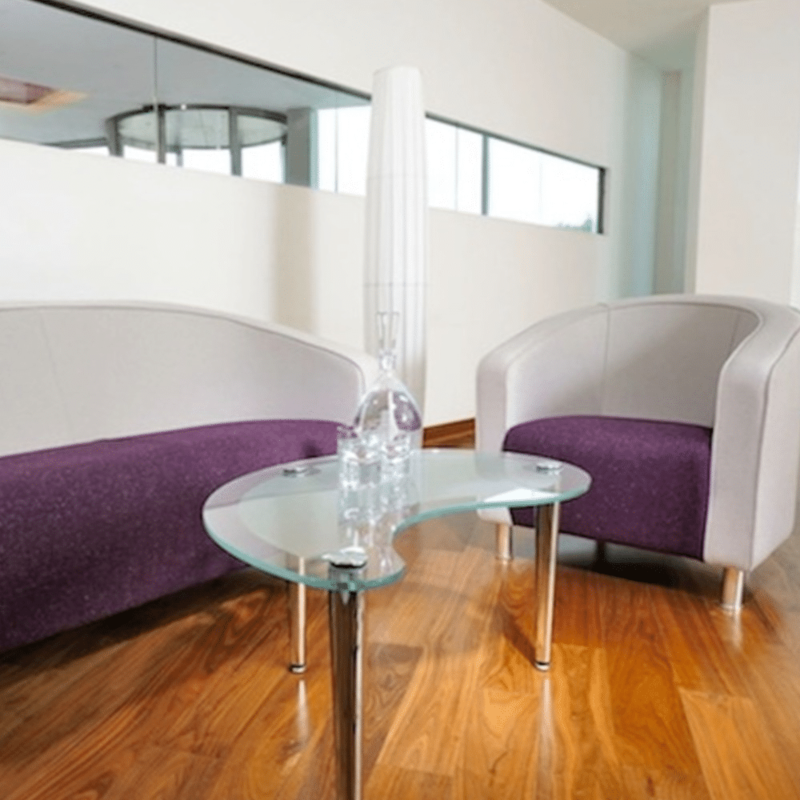 Adding a coffee table to your reception area is a good way to define the area and add a focal point. It’s also a convenient place to leave a few brochures and sales materials – not to mention a cup of coffee! 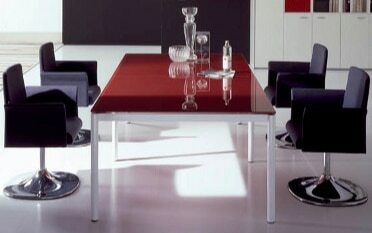 There are a wide range of designs so that you can match or contrast your coffee table and seating for different effects. You may also like to add in a couple of side tables to match. Does TAG Office have a showroom? 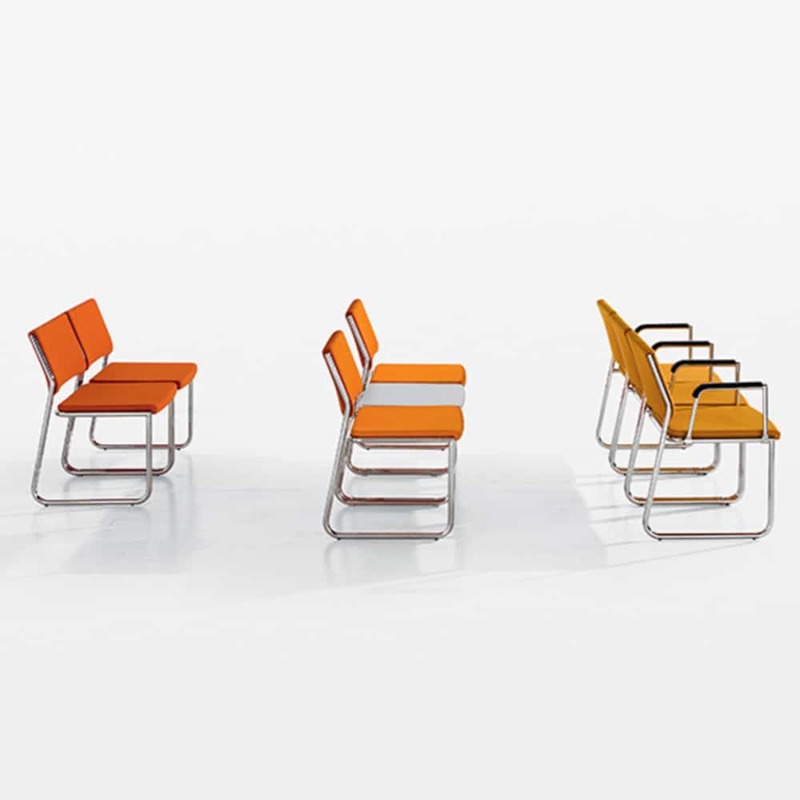 Products can be viewed at manufacturers show rooms across London. Let us know what product you are interested in and we will provide further information. What do I need in my reception area? What you choose to put in your reception area is entirely up to you and we are here to offer you a free consultation to help narrow down your choices and create a space unique to your business. In general, we would advise that you require a reception desk and a small seating area for your clients to wait in. All of our products are individually made to order as we do not hold any stock. You can expect to wait around two or three weeks to receive your order, although some of our higher-end ranges may take between four and six weeks. Faster delivery options are also available.